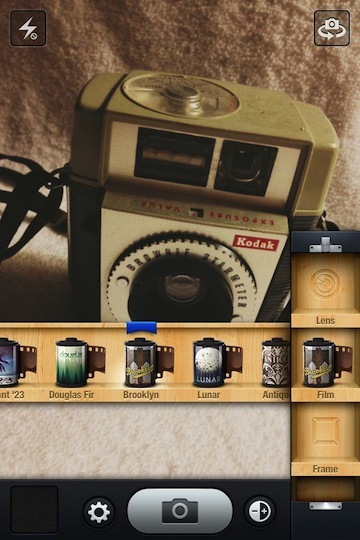 Generally, there are two types of photography apps for the iPhone. There are Camera apps that alter the way photos are taken with the iPhone. Then, there are apps for enhancing images. The second of the two are more popular, tuning images for sharing on social sites with family and friends. 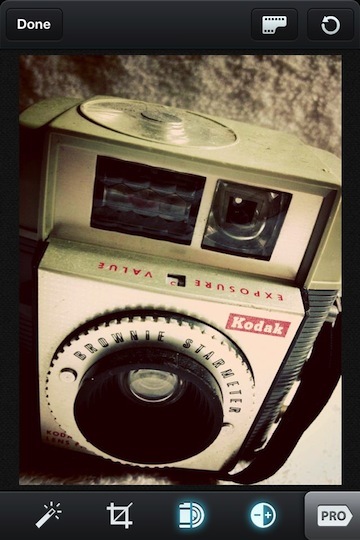 Apps that alter how photos are taken from the beginning have a strong following amongst the retro and film camera fans. 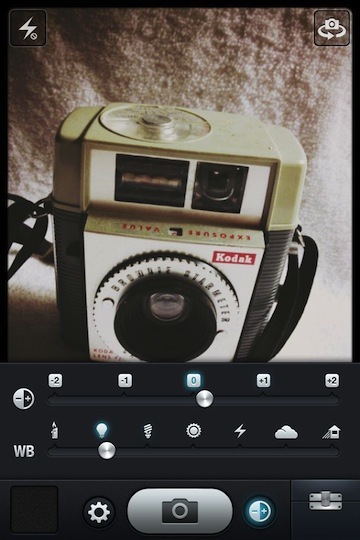 The folks that created the PhotoForge2 editing app has now released KitCam. 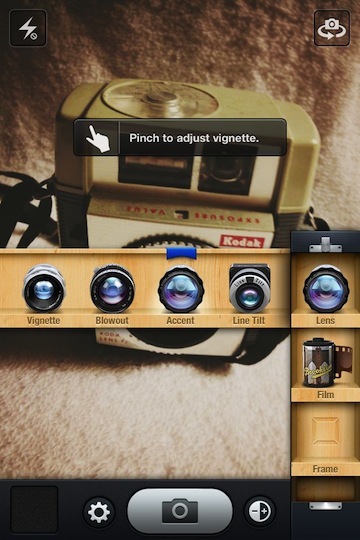 An app that has film and lens options for how a photo is taken to start with, then editing tool for enhancing more. 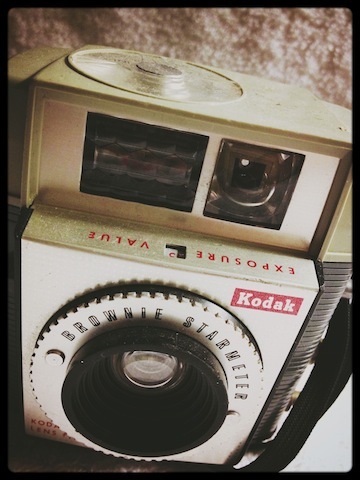 Amongst the enhancements is even the ability to change the film and lens used when the photo was initial taken. 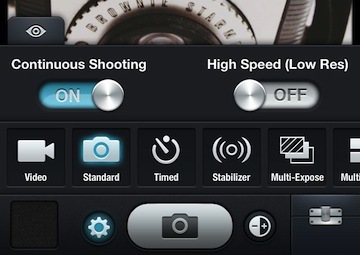 Tap the KitCam lens to slide out the options. Swipe left/right to choose and see the impact of each. Some allow fine tuning their enhancement impacts beyond just applying. KitCam comes with a very nice selection of lenses, films and frames. If you want to go for an extra special effect, there are in-app purchasable groups of each. The built in options have kept me plenty busy, but I can imagine a few shots that would enjoy the upgraded bundle. Sliders for fine tuning contrast and white balance in real time. Popular photography camera are on the view finder screen through the settings icon. KitCam works with single photos and video too. Photos directly after taking or after enhancing, can be shared out in a wide variety of ways. KitCam provides for saving to popular Social Services, cloud storage or open in other apps that you may prefer using to more adjustments. Basic adjustments can be made to the photos like crop, ‘enhance’, and contrast/white balance. There are advanced ‘Pro’ photo editing options within KitCam. Even these tools are included without an extra charge. 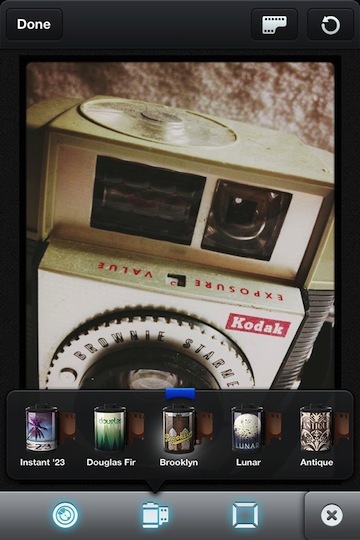 Choose the film icon in the upper right corner of the photo editing area to have access to the KitCam film/lens options that where available when first taking the photos. 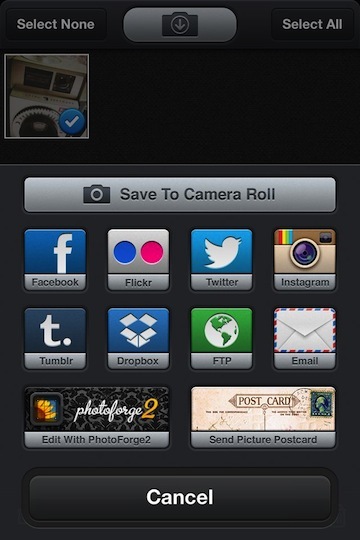 This feature works on imported photos that you have taken via the iPhone camera without KitCam. This is the photo as it was taken with the film/lens selections above. 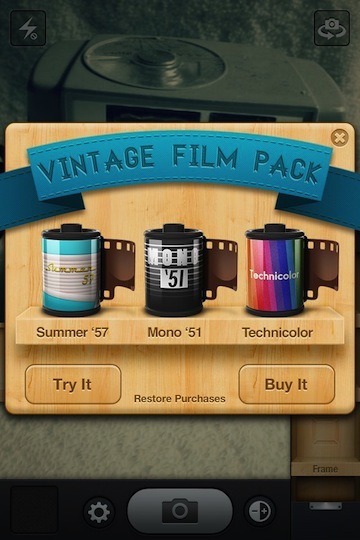 Where other apps that offer film/lens combinations to take the photo with initially then export the photo. 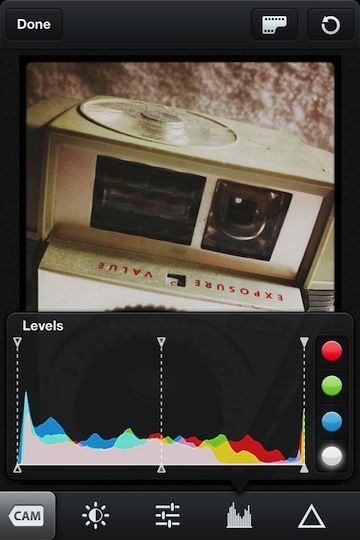 KitCam lets you change your mind about the film/lens/frame later so nothing is ever stuck with a bad decision.